Hello! 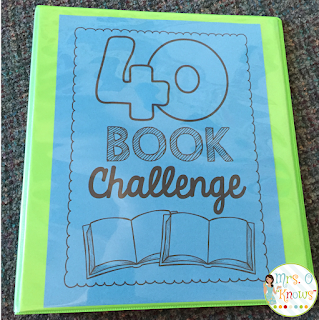 I love your suggestions for implementing the 40 Book challenge! 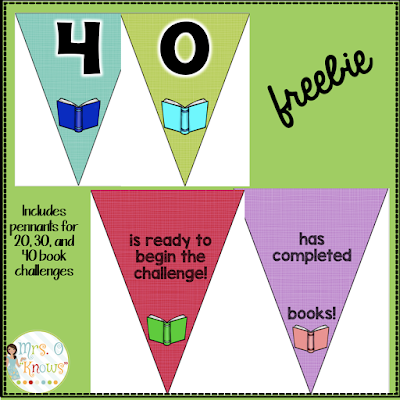 Did you print a new pennant everytime a student finished a book? Great question! 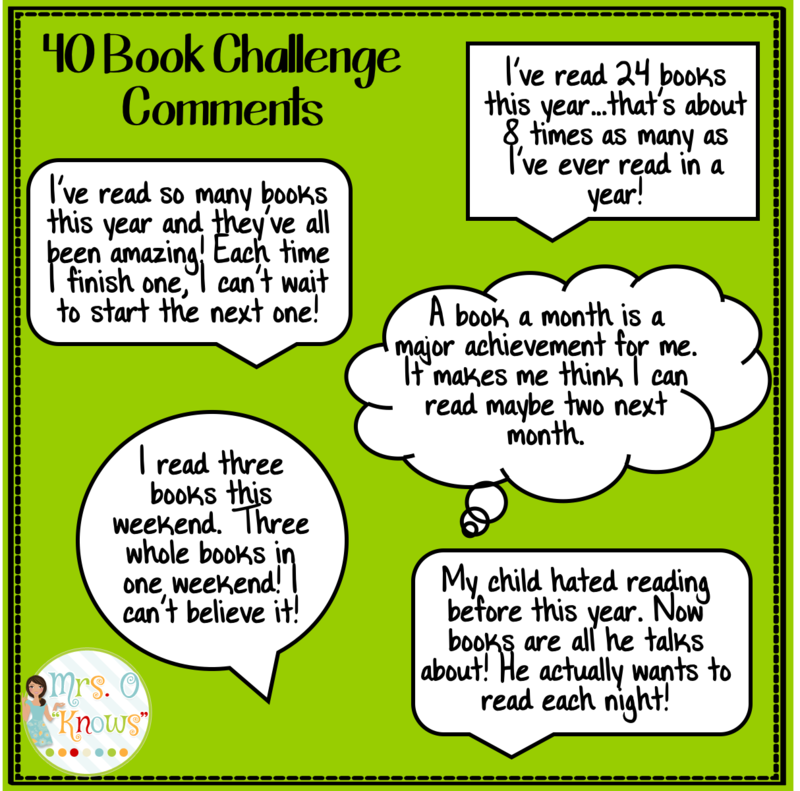 I did this year, but my plan for next year is to only print three for each student. 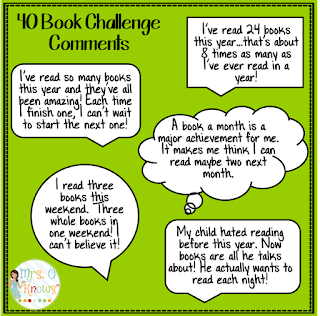 The "ready for the challenge" and the "____ has read 1 book" will be the first two. 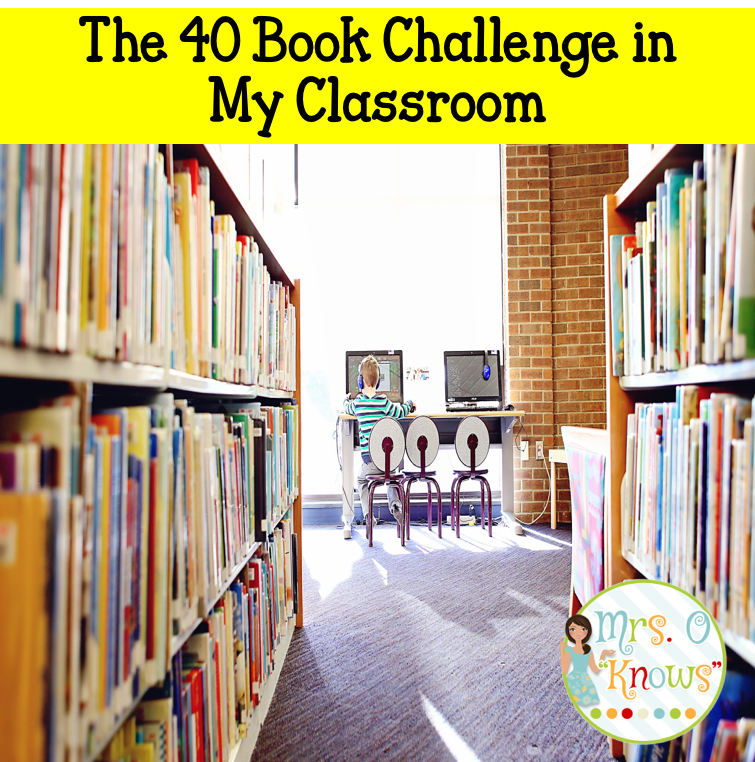 Then I will print one with their name at the top and the number of books blank and laminate it so I can use a dry erase to change the number each time. 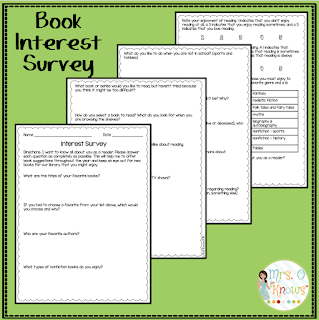 Printing them over and over was not great for the color printer or saving time!